What to do in Lexington, KY for the month of February 2019? Here’s a sampling of events happening in and around Lexington and the Hamburg area. Events may require tickets or prior registration. The American Heart Association Heart Ball is Friday, February 1 at the Lexington Center. BIA Cares is having a pancake break-fast fundraiser on February 1 at the BIA Cares office. The 2019 Chinese New Year Celebration is being held on Saturday, February 2 at Lexington Opera House. 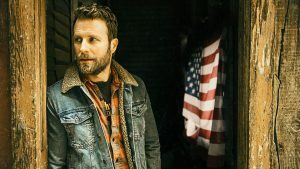 The Winter Jam Tour Spectacular, the largest annual tour of Christian music, is happening at Rupp Arena on Saturday, February 2. The Canadian Brass is performing with the UK Symphony on February 2 at Singletary Center for the Arts. The UK Women’s basketball host the Gators of the University of Florida on Sunday, February 3 at 2 pm at Rupp Arena. Brenneman and Bucks Farm is serving up brats at Pivot Brewing for a Super Bowl Sunday watch party. The UK Men’s Basketball team hosts University of South Carolina on Tuesday, February 5 at 7 pm. Eastside Library is offering a class on February 6 for anyone needing AARP Tax Help. The EKU Center for the Arts presents Legally Blonde: The Musical on February 7. The Recreation Outreach Center is having a Weight Loss for Life seminar at Immanuel Baptist Church on February 7. The 14th annual Kentucky Nonprofit Day at the Capitol is on February 7. Women Leading Kentucky Winter Roundtable with Holly Sheilley is on February 7 at The Grand Reserve. The Kentucky Sport, Boat, and Recreation Expo is February 8 through February 10 at Rupp Arena. Friday Films at Eastside Library featuring Rob Reiner’s Flipped is on February 8. The Singletary Center for the Arts is having a Season Series: Brahms’ First on February 8. Midway, KY hosts their Midway Chocolate Stroll on February 9. Southern Barker is throwing a Valentine’s Day Barker Party on February 9. Fighting For Hope: An Evening with George Foreman at Keeneland on February 9. The Lexington Ballet Company performs Sleeping Beauty on February 9 at the Lexington Opera House. The Lexington Polar Plunge is on February 9 at 9 am at the Richmond Road Texas Roadhouse. Decorate a valentine cupcake with the family on February 12 at the Eastside Library. The UK men’s basketball hosts LSU on Tuesday, February 12 at 7 pm. The 7th annual BIA Chili Cook Off is February 13 at 4 pm. AARP Tax Help seminar at Eastside Library is February 14. 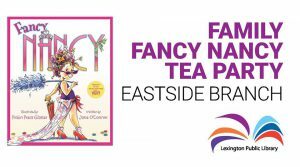 Family Valentine’s Day Tea Party at Eastside Library is February 14. A beginner class for drawing techniques is February 14 at Michael’s craft store in Hamburg. UK College of Fine Arts presents Crimes of the Heart on February 14 through February 17 at the Guignol Theater. The musical Finding Neverland is at Lexington Opera House on February 15 through February 17. The UK Men’s Basketball team hosts Tennessee at 8 pm at Rupp Arena. Woodford Reserve is having a Feast of Saint Valentine on February 16. The Mary Todd Lincoln House is celebrating Presidents’ Day with a Family Event on February 18. 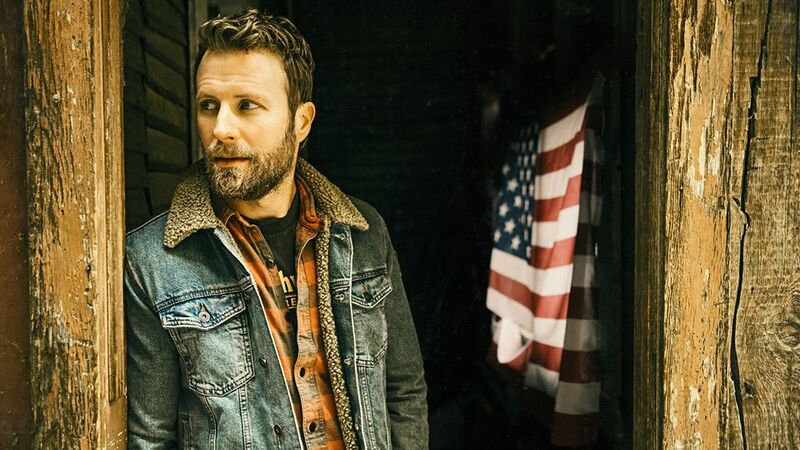 Dierks Bentley is performing at Rupp Arena on February 21. The 2019 Central Kentucky Home Expo is at Alltech Arena. Runs February 22 through February 24. The Real Music Festival at Rupp Arena is February 22. Enjoy a Monte Carlo themed evening at the Embassy Suites in Lexington Green on February 22. Celebrate Silver Charm’s 25th birthday on Friday, February 22 at 1 pm. The birthday bash is at Old Friends. The Central Kentucky Home Expo at Alltech Arena is February 22 until February 24. 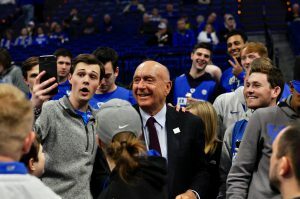 UK men’s basketball hosts Auburn on February 23 at 1:30 pm at Rupp Arena. Wilson Nurseries is having a Get Green Jobs Fair on February 23 from 9:30 am until 3:30 pm. The Garden Bros. Circus will be at Rupp on February 24. The UK men’s basketball is hosting Arkansas on February 26 at 9 pm. Shop + Sip for a cause. 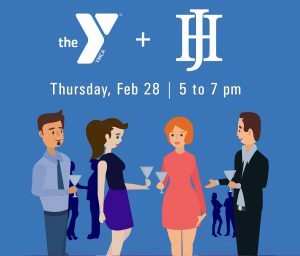 Spend the evening on Tuesday, February 26 from 6 pm until 9 pm at Draper James with HerKentucky blogger, Heather Wilson and help raise money for a local non-profit, Dress for Success Lexington. 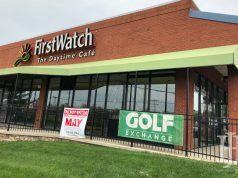 15% of the evening’s sales will benefit the organization. The Lexington Habitat Friends – Habitat for Humanity 2019 Build Kick-off begins on Wednesday, February 27 at 8:30 am at 326 Nelson Avenue. This article also appears on page 18 of the February 2019 print edition of Hamburg Journal.